Allergies are a fact of life for many people. Winter is waning, spring rolls around, and flowers begin emitting fragrant aromas. A day at a friend's house turns into a nightmare when their cat curls up at your feet. A windy day kicks up dust and plant pollen. A tasty snack in a foreign country makes your throat scratchy and tongue feel numb. 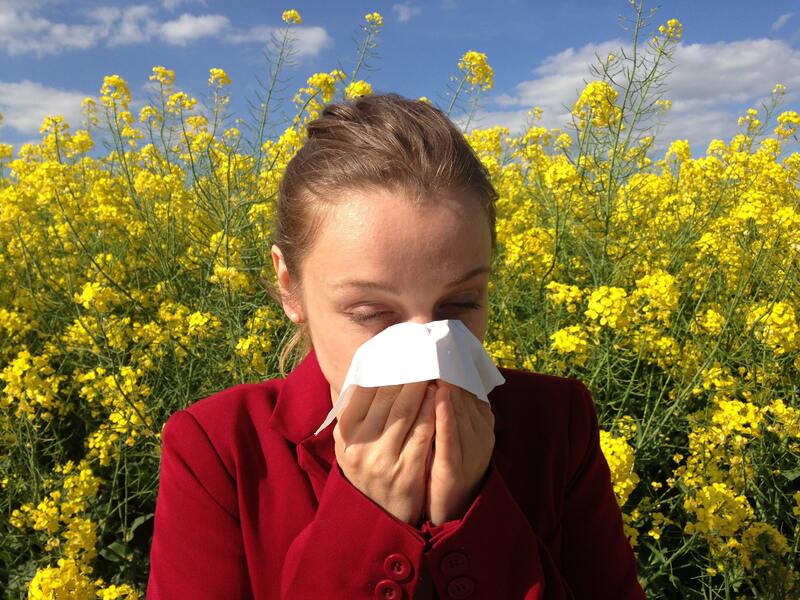 It's nearly impossible to escape the myriad causes of allergies. The resulting watery eyes and runny nose can make it hard to enjoy even the simple things in life. Most people reach for allergy pills that alleviate symptoms, but often come with drawbacks of their own. Fortunately, essential oils can help target the basic symptoms of allergic reactions. A few drops in a diffuser or a sweet smelling massage oil can have you feeling better in a hurry. You'll conquer your allergies with these potent essential oils and get back to focusing on the things that matter. Allergies are commonly referred to as hay fever and known in the scientific community as allergic rhinitis. Allergy symptoms are the result of an overreaction of the immune system to normal stimuli. The immune system becomes sensitized and triggers an immune response to attack what the body has identified as an invader. This results in an increased production of histamines. These histamines cause symptoms such as runny nose, itchy eyes, sore throat, and wheezing. There are thousands of triggers that can lead to an allergic reaction. Some people are allergic to animal fur while others are sensitive to the fragrance of flowers and plants. Food allergies are also common and many people are allergic to synthetic chemicals. More than 40 million Americans suffer from some form of allergies. Allergies manifest themselves in a variety of ways. The typical symptoms include runny nose, scratchy throat, and itchy or red eyes. More severe allergic reactions result in difficulty breathing, skin rash, or hives. Individuals with extreme allergies can also go into anaphylactic shock—a serious allergic reaction that can cause death. In these situations, epinephrine injections are used in treatment. The most commonly prescribed treatments for this medical condition are over-the-counter or prescription antihistamines. They're easy to take and typically in the form of pills. Allergy shots and other intensive allergy therapies are prescribed for more severe reactions. Antihistamines are powerful but have several side effects including drowsiness, dry mouth, and dizziness. The good news is that many essential oils are natural remedies for allergy symptoms. Essential oils contain compounds that are natural antihistamines. They help stop allergy symptoms fast and without the negative side effects of medications. Get relief fast this allergy season with these essential oil blends. Tea tree oil is one of the most revered essential oils. It's fresh, invigorating scent helps to boost mood and improve breathing. This oil is also renowned for its antibacterial and antimicrobial properties. The oil eliminates pathogens in the air, stopping allergens in their tracks. Tea tree oil helps to reduce inflammation, making it an ideal choice for skin allergies. Apply 3 drops of tea tree oil directly to the affected area. Always combine with carrier oil before applying topically to avoid skin irritation. Use tea tree oil in a diffuser to prevent allergens from taking root inside your home. Add 5 drops to a diffuser and run for 30 to 60 minutes twice a day. Eucalyptus oil has a fresh, invigorating scent similar to that of tea tree oil. Eucalyptus is a common ingredient in cough drops and cold medications thanks to its ability to improve breathing. Eucalyptus oil produces a cooling sensation that awakens olfactory senses and reduces nasal congestion. These benefits are largely attributed to the presence of citronellal—a monoterpenoid that eliminates toxins and boost respiratory function. 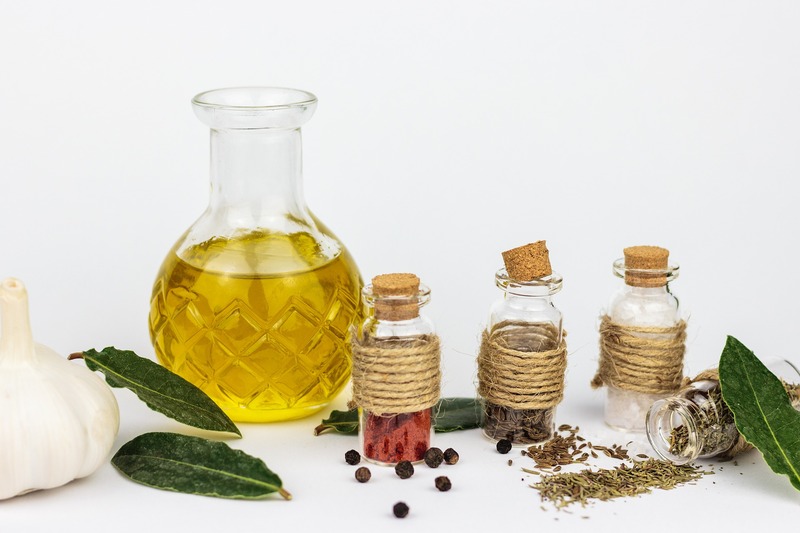 An Israeli study published in 2011 analyzed the effect of eucalyptus oil on respiratory tract infections. Researchers subjected 60 patients to essential oil sprays and analyzed lung function. The results showed eucalyptus oil immediately improved upper respiratory breathing. The effects were not significant after three days, indicating that eucalyptus oil is a good allergy treatment for alleviating symptoms as they occur. Add 5 drops of eucalyptus oil to a boiling pot of water. Remove from heat and place a large towel over your head and neck. Lean over the pot and inhale the steam for 5 minutes. Alternatively, you can reduce chest congestion and alleviate wheezing with a eucalyptus chest rub. Combine 5 drops of eucalyptus with 1 teaspoon of beeswax and 1 teaspoon of jojoba oil. Mix into a paste and gently rub into chest and neck. Leave on overnight to target allergy symptoms while you sleep. Peppermint oil is an expectorant that helps to open up nasal passages. This oil is often used in traditional medicine to treat respiratory conditions such as bronchitis and asthma. The oil boasts powerful anti-inflammatory properties that help to prevent allergic reactions from progressing. Peppermint oil offers pain relief properties that can alleviate some of the annoying symptoms of allergies. Many allergy sufferers report sinus headaches due to the pressure of nasal congestion. Peppermint oil works as an expectorant to loosen mucus and as a pain reliever to alleviate tension headaches. Peppermint oil is particularly effective in treating skin allergies. Combine 3 drops of peppermint oil with 1 tablespoon of carrier oil such as coconut oil. Gently rub on allergy-induced rashes or hives. The anti-inflammatory properties will help to reduce swelling. The soothing nature of coconut oil will also help to alleviate itching. Use peppermint oil to relieve headaches from sinus congestion. Rub 2 drops of peppermint oil and 2 drops of jojoba oil between your fingertips. Gently massage your temples in a slow, circular motion. You can also rub alongside your nose and along cheekbones to work out congestion. Sandalwood oil is extracted from the heartwood of sandalwood trees. The oil offers a coveted woody and floral fragrance. Sandalwood oil is an effective allergy treatment thanks to its high concentration of the chemical compound santalol. Santalol has a relaxing effect that can calm the tense feelings experienced during an allergic reaction. This chemical compound also works to clear nasal passages, making it easier to breathe. South Korean researchers published a study in 2016 in the Journal of Evidence-based Complementary and Alternative Medicine. The randomized controlled trial examined the effect of aromatherapy on allergies in 54 participants. The participants inhaled sandalwood oil, geranium oil, or sweet almond oil twice per day for five days. The individuals who inhaled sandalwood oil showed significant decrease in allergy symptoms. The essential oils also had a calming effect and improved sleep quality. The best way to reap the health benefits of sandalwood oil is to use it as part of aromatherapy. Simply add 3 drops of the oil to an ultrasonic diffuser or a personal inhaler twice per day. You can also use sandalwood oil if your allergy symptoms make it difficult to sleep. Just add 4 drops to a cotton ball and place underneath your pillow before bedtime. Lemon oil stimulates the production of white blood cells, which are essential to a healthy immune system. The oil has diuretic properties that flush out toxins and eliminate allergy triggers. Lemon oil is a powerful household cleaner that can help minimize the compounds that trigger allergies. This oil is particularly effective in preventing allergies by protecting your immune system and eliminating allergens in your home. 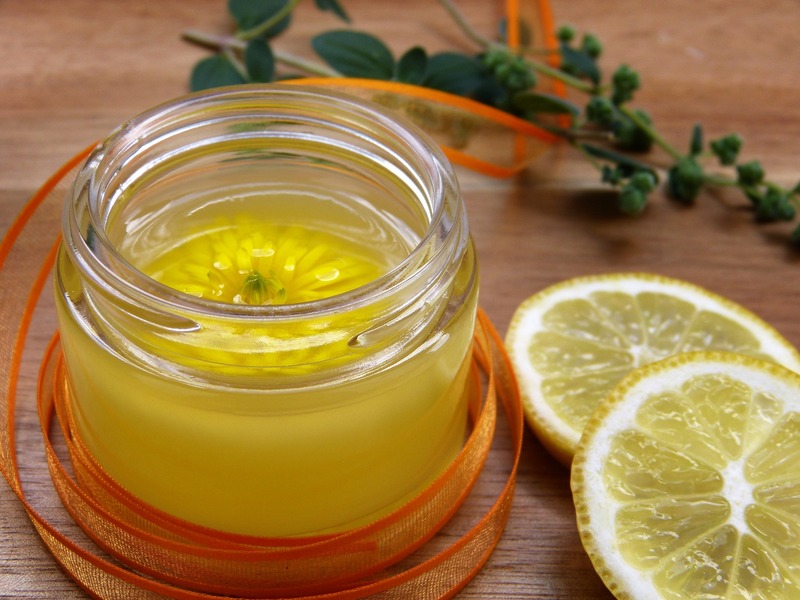 An Italian study published in ISRN Pharmaceuticals examined the effects of lemon oil on allergies in 100 experimental volunteers. Ten volunteers served as a control group and were simply given saline solution. The participants inhaled a lemon oil spray for a period of one month and were observed each day by the researchers. The scientists took nasal samples throughout the study and found that lemon oil reduced inflammation and mucus production. The oil was recommended as an alternative to nasal medications and deemed safe for use in children. Add 4 drops of lemon oil to a diffuser two times per day to alleviate nasal congestion. Lemon oil is also effective in preventing the accumulation of allergenic triggers. Create a lemon oil cleaner to eliminate allergens from household surfaces. Combine 20 drops of lemon oil with 2 cups distilled water and 2 tablespoons of white vinegar in a spray bottle. Shake well before each use. Liberally apply to countertops and surfaces that may attract dust or pollen that triggers allergies. Lemon oil can also be added to laundry detergent to prevent allergies when you're on the go. Add 5 drops directly into the soap dispenser of your washing machine. Alternatively, combine 10 drops lemon oil with 1 cup water and spray directly on fabric surfaces such as couches, mattresses, and clothes. Lavender oil is one of the most popular oils on the market. It emits a delightfully floral fragrance that is herbaceous and fresh. It's renowned for its calming properties that can help induce peace and reduce breathing difficulties. Lavender oil reduces inflammation of mucus cells in the nasal passages. This helps the immune system to eliminate runny nose symptoms that come with allergies. The soothing nature of lavender oil also helps to alleviate skin allergies characterized by rash and itchy skin. A 2014 study published by Japanese researchers analyzed the effects of lavender oil on allergy-induced breathing conditions. The researchers analyze mice that were diagnosed with bronchial asthma—a condition caused by allergic inflammation that results in difficulty breathing. The mice treated with lavender oil showed decreased nasal congestion and better lung function. Another study published in the Journal of Pharmacy and Pharmacology found that lavender oil inhibited the release of histamines that cause allergic reactions. The researchers found lavender oil was effective when applied topically and when injected in between skin layers. The lavender oil effectively reduced inflammation and stopped the onset of allergy symptoms. Use lavender oil at the first sign of allergy symptoms. Topical application with a few drops of the oil can stop symptoms from developing. Use 3 drops of lavender oil with 1 teaspoon of carrier oil and apply directly to skin several times throughout the day. 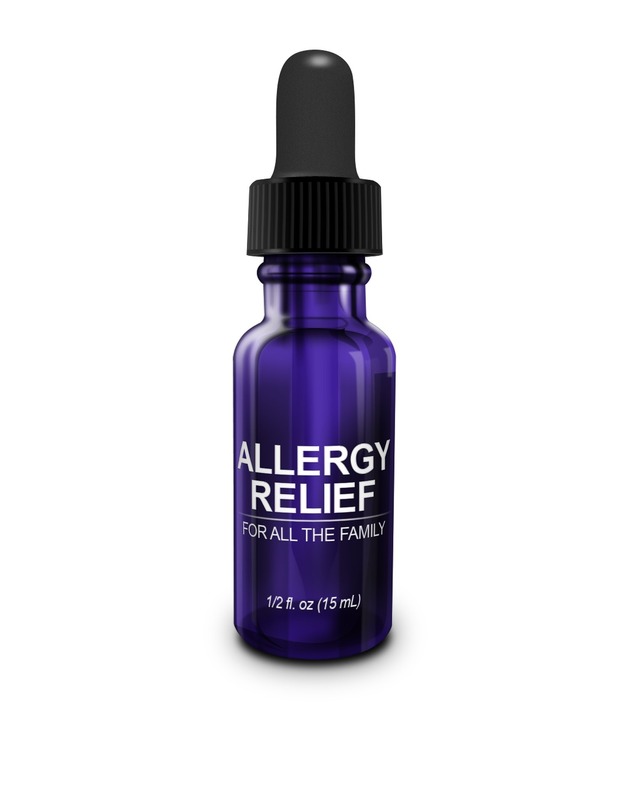 Use as needed or daily during allergy season. Use 3 drops of lavender oil in a diffuser to alleviate nasal congestion. Chamomile oil is made from the flowers and stems of the Roman or German chamomile plant. It has a slightly sweet fragrance that is light and airy. This oil has soothing properties that help alleviate sinus headaches. Its anti-inflammatory properties also reduce swelling that can cause nasal congestion. A study published in the Journal of Veterinary Science documented the effects of chamomile oil on skin rashes caused by immune responses. Mice with skin rashes were given a concentration of 3% German chamomile oil 6 times per week for a period of 1 month. The mice treated with chamomile oil showed lower histamine levels in blood samples after 2 weeks of application. The chamomile oil also reduced itching. Chamomile oil is particularly effective in treating allergy-induced skin rashes. Combine a few drops of chamomile oil with 1 teaspoon of carrier oil. Rub liberally on skin rashes or allergy-induced hives. Essential oils are helpful in treating minor to moderate allergic reactions. These oils can help reduce seasonal allergies that cause annoying reactions such as runny nose and sore throat. Some of these oils also support the respiratory system and open up airways. They can soothe skin rash when applied topical and clear nasal passages when inhaled. Essential oils offer amazing benefits, but are not a cure-all. Essential oils should only be used to treat non life-threatening allergies. These oils should never be used in place of a rescue inhaler or in more advanced allergic reactions. Severe allergic reactions should always be addressed immediately and in conjunction with a healthcare professional. Essential oils are all natural products derived from plant sources. That means that the essential oils themselves can cause allergic response in some individuals. Avoid any essential oils that come from plants you may be allergic to. Always conduct a small patch test on skin before applying liberally. Stop use if you have symptoms including rash, difficulty breathing, or skin irritation. Citrus oils can cause photosensitivity and increase the risk of sunburn. Avoid sun exposure when using citrus oils such as lemon oil topically. Some essential oils can be used on children over 2 years of age. Infants and young children have immune systems that are more susceptible to irritation that adults. Always check with your pediatrician or alternative medicine expert before using essential oils on kids. Some essential oils are safe for pregnancy, but many are still undergoing research. Check with your healthcare professional before using essential oils if you are pregnant or breastfeeding.